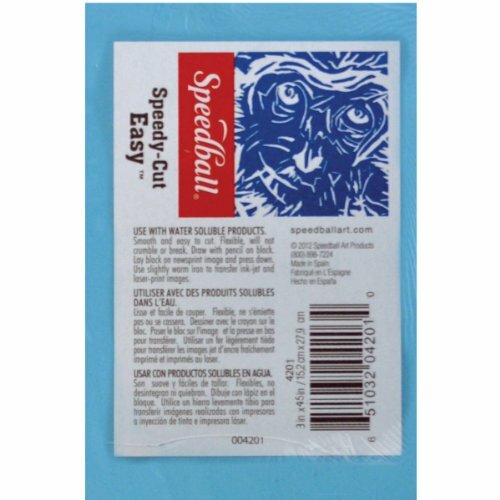 SPEEDBALL ART PRODUCTS: Speedy-Cut Easy Carving Block. This carving block is smooth, flexible, and easy to cut. Designs can be transferred by hand-drawing with a pencil, firmly pressing on a news-print image, or with a slightly warm iron using ink-jet and laser-print images. It is 1/4 inch thick and measures 3x4-1/2 inches. Each package contains one carving block. Imported.